Hikari Food Sticks for Tropical Carnivorous Fish are a complete, nutritionally balanced formulation, developed for carnivorous fish whose main diet of live food tends to cause nutritional deficiencies. 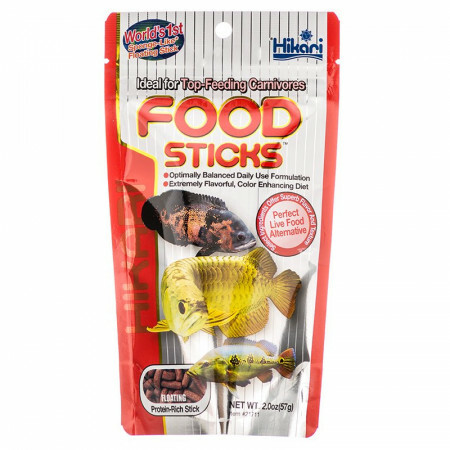 Using Hikari Tropical Carnivorous Sticks instead of live foods reduces the chance of infection from parasites or bacteria found in most live foods. 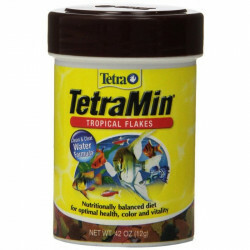 Feeding Directions: Feed 2-3 times per day, only as much as your fish can consume within a few minutes. Avoid overfeeding and remove any leftover/uneaten food. Carnivores may resist a new type of food at first, but continued use will ensure acceptance. I have a 25 gal. tank with quite a number of top feeders. Other foods tend to sink so that unless they are able to eat quickly, they sink out of visual range. This food remains on the surface. The fish love the food sticks. I have never had such immediate acceptance of a new food like this before. 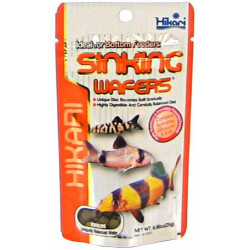 I feed a variety of large cichlids with this including two Oscars and a severum. It is also eagerly taken by other fish in the tank including silver dollars and a flagtail charachin. My only complaint would be that the Oscars for some reason grid this product up and make a huge mess of it. With other brands of pellets Ive not had this issue. Still a great product. This was my first time using the product and I was impressed. There was no issues with acceptance, all the fish took to it without a problem. Although Luiz the Lungfish wouldn't touch them the first day, he gave in quickly. Delivered quickly and the bulk size is very handy. Wish I could find IT! Found this while traveling- took it home and my Arowana LOVES it. Other than live food its the only thing it will eat. Not any luck with the Oscars taking it though. 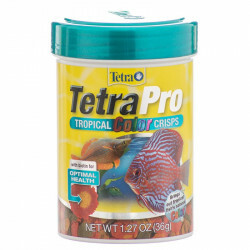 MY FISH ABSOLUTELY LOVED THIS. 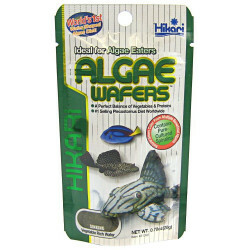 IM TRYING TO GET MY LOCAL FISH STORE TO STOCK IT. THEY EAT IT AS FAST AS I GIVE IT TO THEM.